This app was released about 5 months ago and has already been featured as the No. 1 App in the ‘What’s Hot’ category in India. It is currently ranked in the Top 50 apps in the Entertainment section. 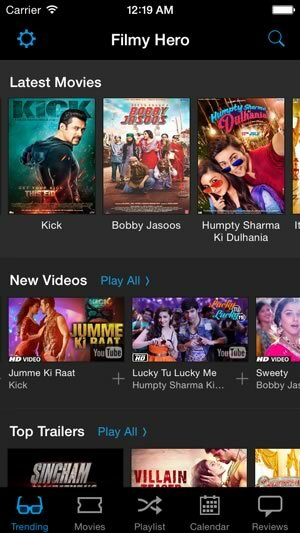 Filmy Hero gives users easy and free access to Bollywood movie trailers, music videos, movie promos, reviews, behind-the-scenes footage & a lot more. It is delivered in High Definition (HD) format and packaged in a stylish interface for iOS and Android users. Complete movie details, reviews, rating & more background themes. Featured as the no. 1 New app in the ‘What’s Hot’ section in India.